BARCELONA, Spain – March 3, 2015 – At Mobile World Congress, Deutsche Telekom (DT) announced the launch of a Cloud VPN (Virtual Private Network) Service for small and medium businesses. The announcement builds on the longstanding collaboration between DT and Cisco. The Cloud VPN offering is DT’s first commercial service based on its centralized Pan-European IP network. It was designed and developed using a collaborative “devops” philosophy by Cisco and DT. The service is first available to customers via DT’s subsidiaries in Croatia, Hungary and Slovakia from March 2. The Cloud VPN service uses a self-service online portal to give customers a simple way to select, subscribe to and activate highly secure and scalable Internet services. The service portfolio includes branch, site-to-site and remote access encrypted VPNs, as well as firewall and web security, all offered as a cloud-managed IT solution on a monthly subscription basis. Customers have access to a management dashboard on which they can track the status and performance of services and upgrade their service package, such as increasing the number of users or the bandwidth, with a click of a mouse. Provisioning is automatic and done in real time from DT’s data centre. The design of this virtualized managed service is utilizing the Tail-F NCS platform and is fully based on Netconf/YANG, which are the emerging global standards for this type of virtualized services within the Internet Engineering Task Force (IETF). The service is built on Cisco® virtual security appliances, combined with DT’s OpenStack solutions. 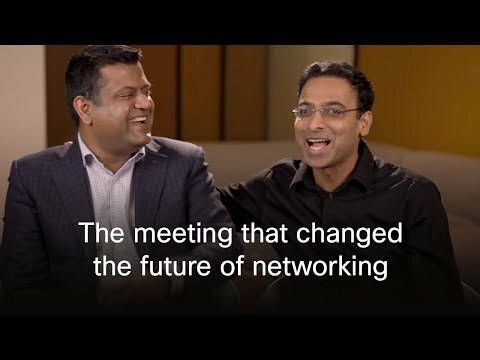 With Cisco's new virtualized managed service solutions, Service Providers are now better able to pursue the fast-growing managed network and communication services market. Utilizing Software Defined Networking (SDN), innovative Network Function Virtualization (NFV), multi-vendor orchestration and provisioning technologies, these solutions can enable service providers to save up to 78 percent in operational costs, deliver a 200 percent return on investment over 5 years and decrease new managed service start-up time from months to less than 48 hours, compared with past approaches.